The flu season has arrived with a vengeance this year. One side effect of the flu can be conjunctivitis. It is an inflammation of the conjunctiva. The conjunctiva is the thin clear tissue that lies over the white part of the eye and lines the inside of the eyelid. 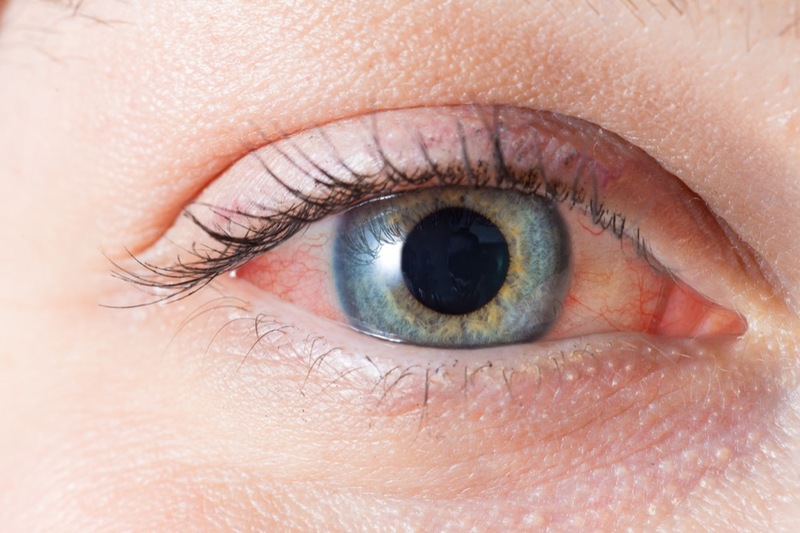 Pinkeye has a number of different causes, including viruses, bacteria (such as Gonorrhea or Chlamydia) and irritants such as shampoos, pool chlorine or allergies. Since the flu itself is a viral infection pink eye caused by the flu is a viral condition too. Pinkeye caused by some bacteria and viruses can spread easily from person to person, but is not a serious health risk if diagnosed promptly. Pinkeye in newborn babies, however, should be reported to a doctor immediately. The treatment for pinkeye depends on the cause. Pinkeye caused by bacteria, is treated with antibiotics, in the form of eye drops, ointments, or pills. Contrary to common believe MOST cases of conjunctivitis are caused by a virus and are not receptive to antibiotic treatment. It is very difficult to distinguish between bacterial and viral conjunctivitis from the symptoms alone. It appears that a bacterial infection presents with increased discharge and crusting over night though. Please see your eye doctor for a differential diagnosis. From a practical perspective, young children under the age of 5 years who present with an uncertain picture that could be bacterial, whether a primary process or a secondary result of their sticking their hands in mouths, toys, and numerous other places before touching their eyes, should also be treated with ocular antibiotics. Viral pinkeye often results from the viruses that cause a common cold. Just as a cold must run its course, so must this form of pinkeye, which usually lasts from four to seven days. Viral conjunctivitis can be highly contagious. Avoid contact with others and wash your hands frequently. Pinkeye caused by an irritating substance, use water to wash the substance from the eye for five minutes. Your eyes should begin to improve within four hours. Allergy-associated conjunctivitis should improve once the allergy is treated and the allergen removed. How to relieve the symptoms of pinkeye? Protect your eyes from dirt and other irritating substances e.g. make-up, contact lenses, pollen. Non-prescription “artificial tears,” a type of eye drops, may help relieve itching and burning from the irritating substances causing your pinkeye. Traditional Chinese Medicine and the treatment of Pinkeye! Just like in Western Medicine pinkeye has a variety of causes and is treated according to the diagnosis. One herb generally used to decrease the symptoms of pinkeye is to make a tea of chrysanthemum flowers (Ju Hua). The tea should be sipped several times per day. The warm flower can be wrapped into a cloth and used as a poultice on the effected eye. Please consult with a Traditional Chinese Medicine Practitioner (aka acupuncturist) before buying or applying any Chinese Herbal Medicine. Especially for viral conjunctivitis Chinese Medicine can be much more effective than Western Medicine. Please contact Igor Zielinski, L.Ac. 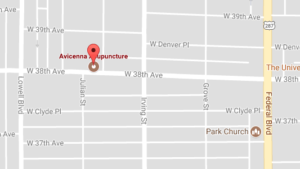 at Avicenna Acupuncture Clinic for a free 15 minute phone consultation #303 803 0674.